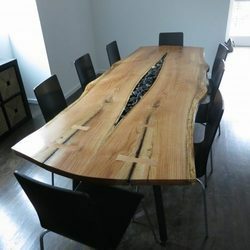 Our company is one of the leading companies that manufacture, supply and export a wide range of Wooden Conference Table to meet the demands of our clients. These tables are sturdily constructed and ensure long lasting service life. Our products are dimensionally accurate and offer hurdle free performance. 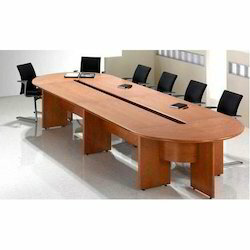 We are offering Office Conference Table to our clients. We are one of the best associations in the business sector, required in offering a wide accumulation of Wooden Conference Table to the clients. These items are produced using astounding segments at extremely sensible costs. S. R. K. Modular Furniture Co.